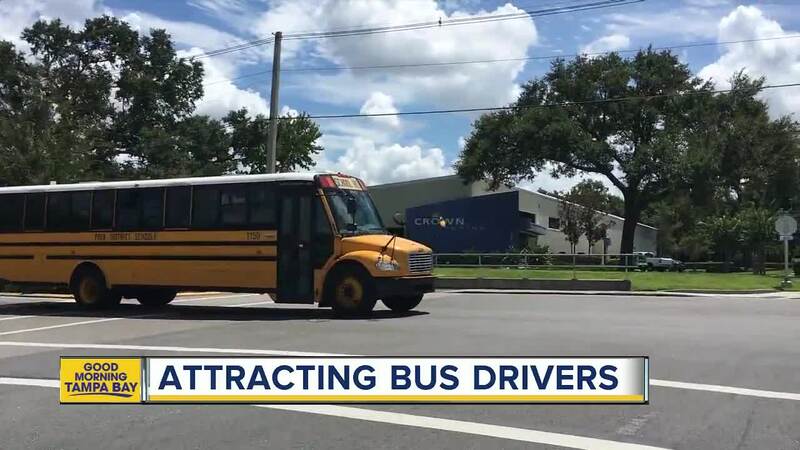 BARTOW, Fla. — The Polk County School Board desperate for drivers are now making the position a little more enticing. Board members made a historic move Tuesday night, eliminating the requirement for a diploma or GED. That’s not all, the district is now boosting the hourly rate for drivers to $13.40 per hour. For substitutes, or those just starting out the pay will go up from $10.00 per hour to $12.18 per hour. The raise still needs to be ratified and signed off by the bus driver’s union. After that, the raises will take effect. All of this, coming after a major bus driver shortage across the county. As of Tuesday, hiring managers tell ABC Action News 51 drivers are still needed. Currently, six drivers are in training which will wrap up by Friday. Another 35 drivers will begin training September 10. While many criticize the district for lower the requirements, one veteran bus driver says this will make all the difference for those in need of a job. “This is a big deal, This is getting people in jobs. People out there who need a job and we have the job and now we are lowering the requirement so they can get that job and take care of their families,” Margie Patterson said. Patterson started driving for the district 30 years ago when she was in the same position as many who are searching for a job without a high school education. “I had no high school diploma, and transportation hired me and I have been here ever since but since then I have required my high school diploma and two years of college,” she said. 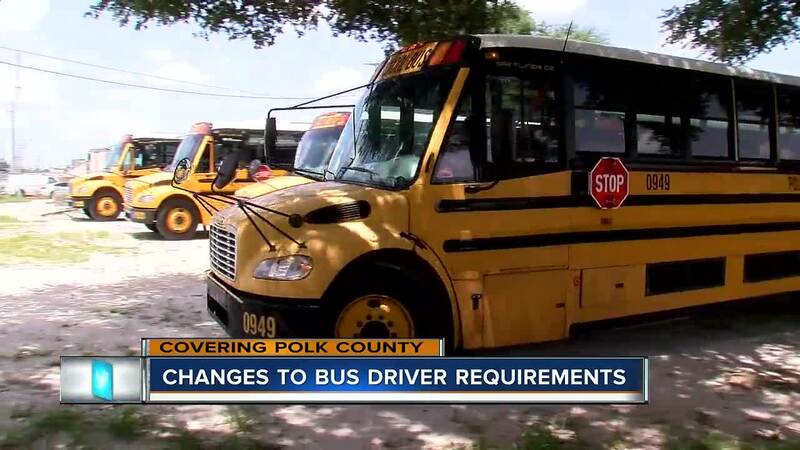 Once the negotiated contract is ratified and signed off, Polk County bus drivers will be the highest paid in Central Florida.